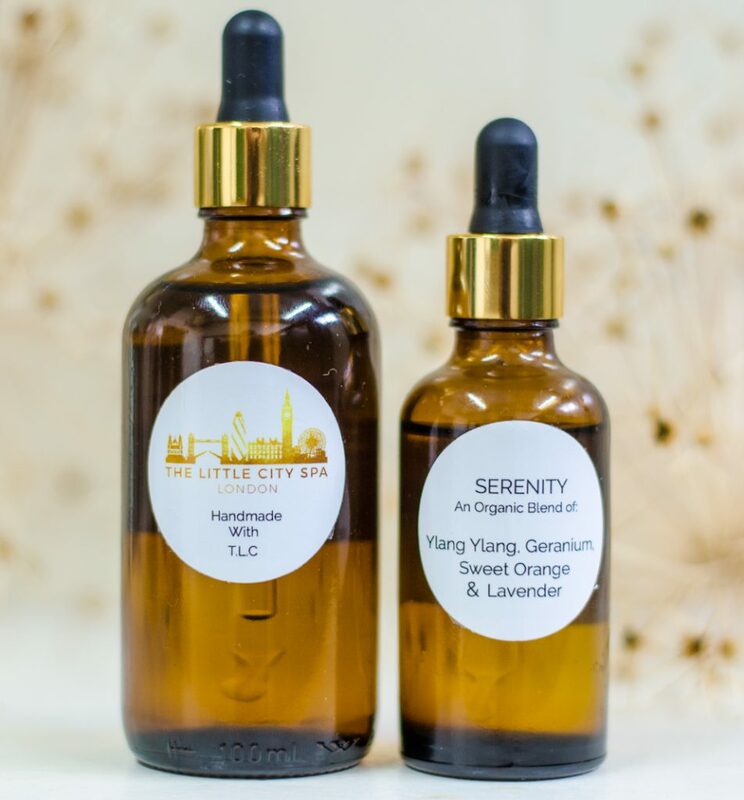 The Little City Spa offers a variety of luxury mobile spa treatments in the comfort of your own home, hotel or work place around London, Bristol & Bath. Our team of intuitive therapists work to provide a bespoke experience for you. We provide an extensive range of injury treatments, massage, body, beauty and aesthetic treatments. 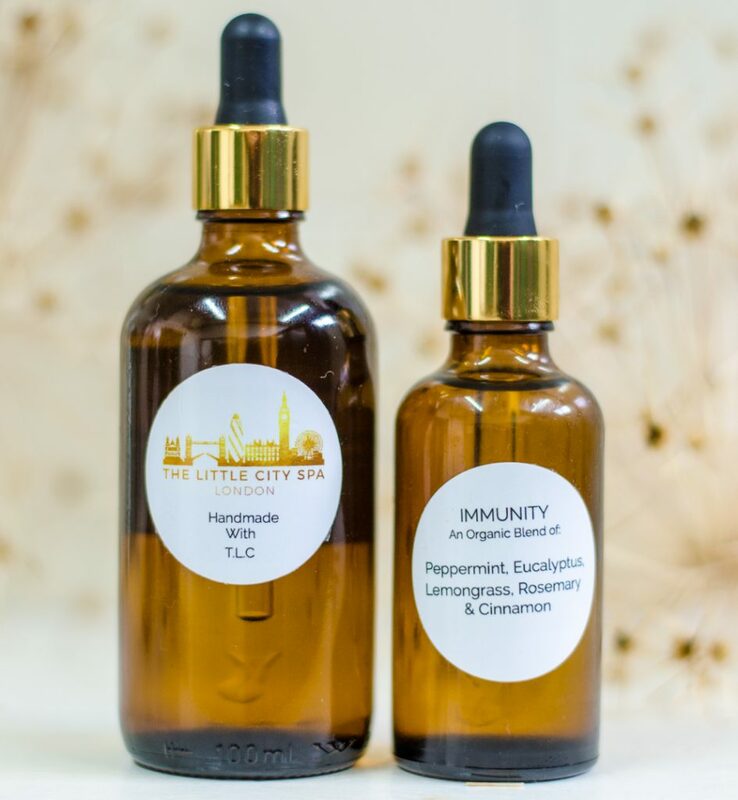 The Little City Spa will bring a sanctuary of truly revitalising experiences to you, whatever your busy city life demands. Massage can enhance your physical, emotional and psychological well-being, and there are techniques suitable for treating people of all backgrounds, ages and states of health. Whether it's to address a health issue, sporting injury or post- surgical we offer an assortment of styles. Chose from one of our popular massage treatments and give your body the attention it deserves. Enjoy this warming treatment to melt away your stress and reduce muscle tension. The increased circulation will leave you supple, energised and recharged for your week ahead. Perfect for the winter months. This ancient and unique form of body therapy is performed on floor mats and incorporates deep passive stretching and rhythmic compression techniques. Also helping to increase flexibility and release deep and superficial tension, the experience will leave you feeling both relaxed and energised. Thai Foot Massage involves massage, stretching and acupressure to stimulate reflex points on the feet, calves and thighs. It has elements of Shiatsu, Reflexology, and Chinese Massage incorporated into the treatment and is also invigorating and deeply relaxing. 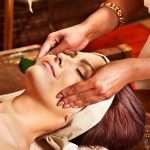 An extremely effective therapy that has evolved from traditional techniques practiced in India for over a thousand years. A truly relaxing experience using specific pressure points on the head, neck, shoulders and arms for ultimate invigoration. Can also be combined with a nourishing hair mask. If you have stubborn areas, this medium to strong massage uses specific techniques for the break down and removal of cellulite. With a flowing, rhythmic massage to help cleanse, relax and relieve pain. Our Natura Bisse C+C Vitamin Body Lift cream will also be applied which is formulated with anti- oxidants and peptides. Thus helping to increase the density and firmness of skin, while diminishing stretch marks and encouraging collagen and elastin production. Perfect for all skin types. During this amazing time of physical and emotional change, massage can be of enormous benefit to both the mother and baby. Helping to promote a healthy, happy pregnancy, as well as labour and recovery period. Sporting and non- sporting people can benefit greatly from this massage. If your body needs controlled deep pressure to target tight muscles, knots and aches then this treatment will be for you. Also great for reducing acute and chronic pain and improving muscle length and flexibility. Passive stretches and mobilisations can also help to aid range of movement. 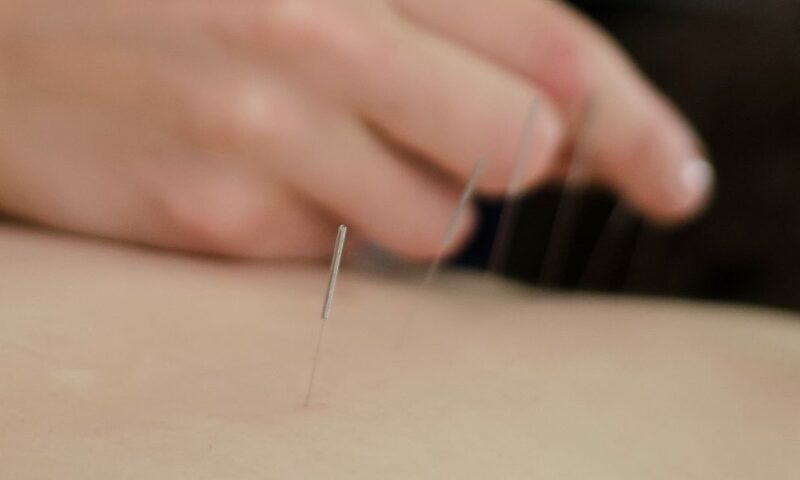 Treatment can also be combined with Acupuncture to target specific trigger points and knots, to help reduce localised and referred nerve pain. If you are looking for some rest and relaxation this massage will target superficial and deeper muscles, tailored to your individual needs and preferences, with a variety of techniques. Whatever your needs you are assured to feel totally serene and rejuvenated for your week ahead. For anymore information or queries please contact us. Prices from £70. Give your skin the attention it deserves with our advanced range of aesthetic and beauty treatments. Surrender to glorious pampering or choose a treatment to nurture and nourish your skin. Our premium range of beauty and skincare products will leave you in a state of blissful tranquillity, glowing from the inside out. These world renowned products are based on extensive scientific and medical research in the prevention and treatment of many skin issues. Encompassing the most beneficial principles of active vitamins A, C & E and Anti- Oxidants. These advanced products, therefore, help reduce signs of ageing, skin damage, pigmentation and uneven skin texture. The facial treatments use gentle sound waves to drive the serums deep into the lower layers of the skin. Packed with nourishing, anti-ageing ingredients, the Active Vitamin Treatment will leave your skin looking radiant and dewy. The freshest, most active forms of vitamin A, C, E and anti-oxidants are driven deep into the lower layers of the skin. Painless sound waves and small electrical pulses encourage this deeper penetration of active ingredients. This scientific approach stimulates Collagen to soften lines and improve elasticity, increase hydration and boost radiance. The Active Vitamin Treatment is suitable for all skin types and is particularly effective at addressing: sun-damage, pigmentation, premature ageing, dryness, uneven skin tone and scarring. The differences after measurable after just one session. Collagen Power Facial- 60 mins or 90 mins. This peptide-packed facial helps to boost collagen, soften fine lines and tighten skin, resulting in a more youthful appearance. Ideal for targeting mature or photo-damaged complexions. The treatment uses gentle sound waves to drive the nutrient- packed serum deep into the lower layers of the skin. The formula contains a unique combination of three peptide complexes which work in synergy to give skin a plumper, more radiant appearance. This highly effective treatment uses a special penta-peptide serum to target frown lines in the forehead and achieve dramatic results. The unique combination of active ingredients is driven deep into the skin to soften lines and reduce muscle tension. Best yet, this treatment targets the same chemical complexes as injectables, without the associated risks, and helps to prevent new lines forming. The perfect antidote to dry, lacklustre skin, this intensive treatment deeply hydrates while plumping and firming the skin. Based on Hyaluronic Acid, which holds 1000 times its own weight in water. Helping to reduce fine lines caused by dehydration and increase the plumpness of the dermis, resulting in moisturised, glowing skin. Created to purify micro-exfoliate and re-hydrate your skin, assisting with the treatment of acne, scarring and deep skin congestion. The combination of scientifically advanced products and techniques revives and refreshes your skin, leaving your skin feeling like new. 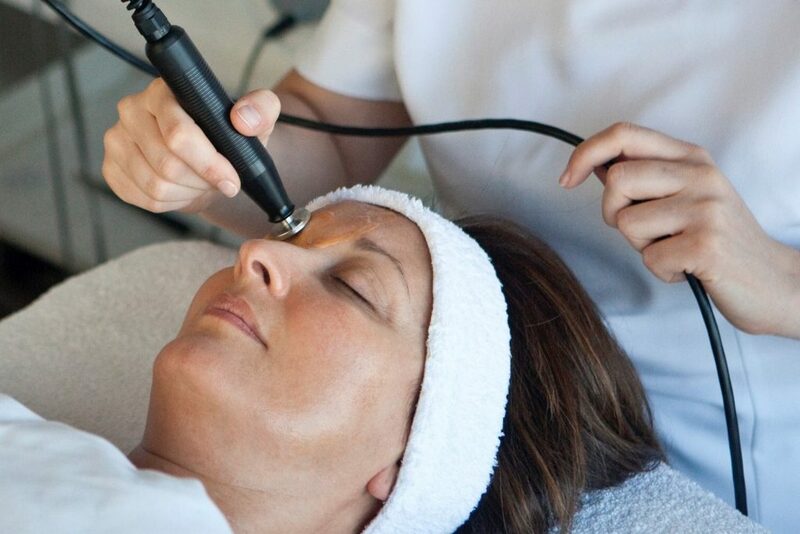 One of our most popular facial treatments used to remove the damaged outer layers of the skin. Providing immediate results for smoother, glowing and even- toned skin. Our Chemical skin peel is 40% Glycolic acid, one of the more gentler peels for quick replenishment and zero downtime. The solution works by removing the dead and damaged skin cells and encourages collagen production and cell renewal, revealing softer, smoother skin for a glowing complexion. Results can last years and for even longer lasting results avoid direct sun exposure and apply good sun cream. An extremely popular facial treatment to visibly improve the look and feel of your skin. We conduct a full consultation and skin analysis to determine the number of treatments best suited to your skin needs. Usually 1- 6 chemical peels are sufficient depending on your needs. Results will depend on your skin type and tone and you should find significant improvements in the condition of your skin. After the treatment your practitioner will cleanse your skin and apply a high potency nourishing serum. The majority of clients do not experience any side effects and there is usually no downtime, if mild redness does occur this typically subsides throughout the day. Prevent wearing makeup for 24 hours after treatment and use tepid water to cleanse the face. It is highly recommended that clients stay out of the sun for at least 5 days post treatment and when going outdoors a strong UVA/ UVB suncream is used. Rejuvenate tired, dull skin and combat the initial signs of ageing with our Micro Needling treatment. Also known as Collagen Stimulation Therapy, this cutting edge treatment harnesses your body's natural healing powers to tighten skin and achieve incredible results. Treatment can be done on all areas of the face and body and is suitable for all skin types. A full consultation and skin analysis will be conducted to determine which course of therapy will best suit your skin needs. A topical anaesthetic is applied prior to treatment for added comfort. We use a 1.5 mm dermaroller to create tiny punctures in the outer Dermis layer of the skin. This causes the body to release powerful growth factors in it's natural healing response, resulting in a deeper penetration of the active serums, and increased collagen and elastin production in the epidermis skin layer. This procedure is suitable for all skin types and can be applied during the summer months when other treatments (such as skin peels) are more risky due to the increased UV sensitivity they can induce. For an instant radiance and glow a single treatment provides excellent results. To help diminish wrinkles, lines and activate the collagen and elastin production in the skin we recommend a course of 3 treatments, with 5-6 weeks recovery between treatments for maximum benefits. An improvement in pigmentation, dark patches and acne scars is often experienced with a course of 5 treatments. It may take up to 6 weeks to notice visible signs of regeneration and repair, the process will continue over the following months. Results are long lasting as it's a repair of the skin and does not revert, however is will not stop new lines forming. After the treatment your practitioner will cleanse your skin and apply a high potency nourishing serum. Skin will appear red for a few hours after treatment but will have subsided by the next day. Prevent wearing makeup for 24 hours after treatment and wear a strong UVA/ UVB suncream if going outside. Use tepid water to cleanse the face until redness has subsided. A bespoke manual facial treatment using a blend of Indian face massage, acupressure and drainage techniques helping to lift, plump and invigorate tired skin. The increase in blood flow and lymph drainage will leave your skin rejuvenate and restored, taking your skin on a voyage to perfection and providing a relaxing retreat. Our Eyelash Lift and Tint treatment is extremely popular due to amazing results; safely and instantly revitalise tired eyes. Eyelashes appear longer, fuller and darker for up to 8 weeks*. Our eyebrow tint and tidy package also includes an eyelash tint. A patch test is reauired at least 3 days before treatment. Glow from home, with the iconic St. Tropez spray tanning treatment. A bronzed physique has an uplifting and slimming effect, giving an instant confidence boost making you look and feel great. Wonderful preparation for a special occasion or monthly treat, without the worry of skin damage from harmful UV light, you can have that year round glow, in a 30 minute treatment with 1- 3 hours developing time. Keep an eye on our blog for up to date info on some of our treatments. Treatments from £60 and £40 express. Beauty treatments from £40. All of our facial treatments are designed specifically with the utmost care and respect for our clients. We begin with a consultation and skin analysis to understand your needs. *A patch test is required at least 48 hours prior to eyelash lift and tinting treatments. Finishing with recommended home care to provide you with the most beneficial results. Enjoy a range of body treatments to awaken your senses and transform your body and mind. The ideal body treatments to be added on to a massage or on their own. Helping to improve the appearance of skin and texture, eliminate toxins, cellulite, water retention and inches. Glow from home, with the iconic St. Tropez spray tanning treatment. A bronzed physique has an uplifting and slimming effect, giving an instant confidence boost making you look and feel great. Wonderful preparation for a special occasion or monthly treat, besides the worry of skin damage from harmful UV light, you can have that year round glow, in a 30 minute treatment with 1- 3 hours developing time. This detoxification treatment uses a dry brush and gentle massaging action to stimulate the circulation and lymphatic system. Thus, helping to eliminate toxins and water retention. As well as improving the appearance of the skin and cellulite, leaving the skin firmer and smoother. Our Natura Bisse C+C Vitamin scrub is a citric exfoliator to remove dead skin cells and stimulate blood flow. Vitamin C and bitter orange extract help fight the signs of ageing, by promoting collagen production and stimulating cell renewal. Therefore, leaving your skin complexion more glowing and youthful. Choose from one of our divine firming and toning body wraps, or anti- ageing body wrap treatment. Proven to help tone and soften the skin, also remove toxins, water retention and best yet- inches! Made from a combination of natural minerals and herbs, the benefits are noticed immediately. Besides that, the Natura Bisse C+C Vitamin Body Lift cream is formulated with anti- oxidants and peptides. Helping to increase the density and firmness of skin, while diminishing stretch marks and encouraging collagen and elastin production. Perfect for all skin types. This skin needling treatment uses a 2 mm dermaroller to create tiny micro-channels in the dermis of the skin. This induces the release of growth factors that stimulate the production of new collagen and elastin to your areas of concern. Best yet, by creating dermal damage without removal of the healthy epidermis, healing time is rapid with quick results that will last. An excellent body treatment to improve tightness, the appearance of stretch marks, cellulite and skin pigmentation. Tell us about your concerns (cellulite, poor circulation, uneven skin texture, etc..) because we will design a treatment specific to you. Including your choice of brushing or exfoliation, massage, essential oil, wrap and finishing cream. A complete treatment for the face and body, tailor made for you and your requirements. Based on our sumptuous and luxurious products that will give you an instantly glowing complexion, exceptionally smoothed skin, reduction of toxins and great inner balance. The perfect full body treatment while promoting ultimate relaxation. With a BSc Degree in Sports Therapy and MSc Degree in Sports and Exercise Medicine, our dedicated therapist provides injury assessment and individual treatment to combat your injury, aches and pains. The aim is to promote, restore and prolong physical independence, by enhancing a client’s functional capacity. Whether it's pain from sporting injury, everyday postural problems or repetitive strain there will be a treatment to help you! A thorough consultation will take place with assessment of the range of movement, pain levels and functional use. 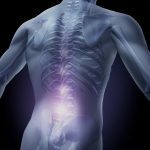 The correct treatment plan will then be formulated which may include: massage, myofacial release, mobilisations, manipulations, acupuncture, trigger point release, active and assisted stretching and exercises to complete at home. We may also advise follow up treatments. If we feel further diagnostics are needed a GP referral letter can be provided. If pain doesn't subside after a course of treatments we will refer you to the next best health care professional. For more information about us or for any queries, please contact us. Price from £70/hour. Grapefruit, Clary sage, Lemongrass, Mandarin and Peppermint; help beat winter blues with this fresh and fruity uplifting oil. 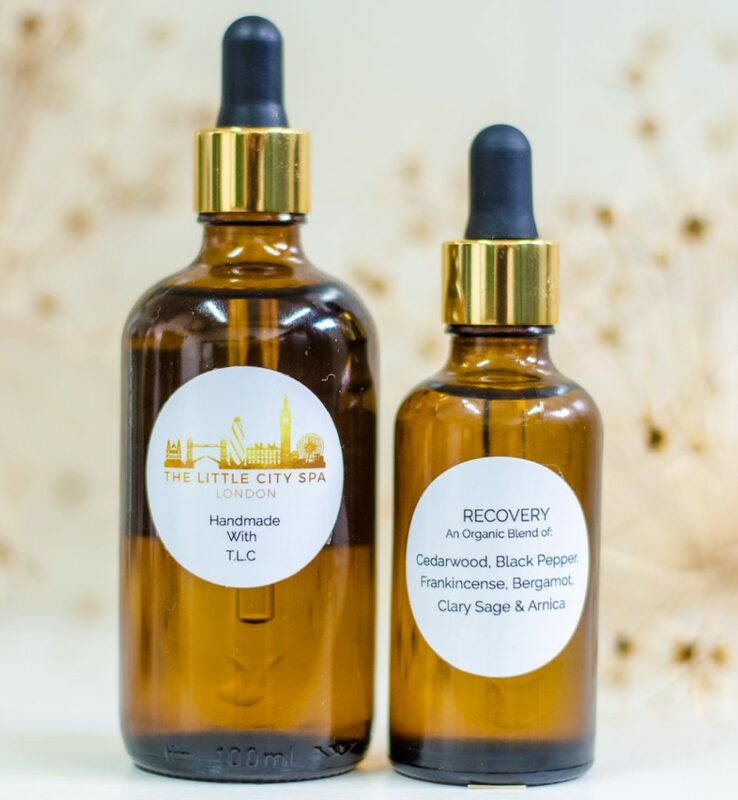 Arnica, Frankincense, Bergamot , Black Pepper, Cedarwood & Clary Sage; infused oil to help reduce muscle tension, chronic pain and warm and energise your muscles. Ylang Ylang, Sweet Orange, Geranium & Lavendar; reduce low mood, anxiety and chronic pain with this calming and balancing oil. Rosemary, Lemongrass, Cinnamon & Eucalyptus; choose this uplifting oil for colds and sinus problems to increase your immune response. Treatments available from 9am-8pm seven days a week. Please book in advance to guarantee availability. Out of hours treatments and out of London treatments are available but may include an extra booking fee, discount provided for multiple bookings, please enquire for price details. Save time from your hectic pace by having the spa come to you. Your personal high end spa on demand. Bring balance back to your life. *Discount provided for multiple bookings and locations, please enquire for details.